Cartoon from Jewlarious. Click to enlarge. The joy of the Purim Holiday means that even the threat of rockets fired daily from Gaza is not sacred. In fact, Purim becomes more joyous in their face. Take this story of Purim fun from Sderot. Purim is a favorite holiday among Jewish children, teenagers and even adults. It is a holiday where we dress up in costumes, eat sweets and make merry. We do all this to remember the salvation that the Jews of Iran experienced thousands of years ago, when they were saved from a nation-wide death sentence. Since then, every Jewish home celebrates this holiday by giving gifts to the poor, reading the Book of Esther which tells the story of Purim and holding a celebratory feast with family and guests to commemorate the miracle. The girls of the Sderot Media theater group, “Youth of the Kassam Way” celebrated Purim in their respective Sderot high schools on Sunday. SMC staff paid a special visit to the schools to join in the celebrations. The girls, who were all very excited for the holiday, were dressed up in sparkling and ravishing costumes. Many of the girls were dressed up as fairytale characters. Cinderella, Hansel & Gretel, queens and fairies were seen walking around. Some also dressed up as different animals such as bees or butterflies, and of course there were many clowns. The teachers also dressed up, adding to the festivities and excitement. We will not forget to mention the feast we had with the girls, with the tables full of different delicious foods. View the video by Jacob Shrybman here. Sadly, as usual, the everyday routine of the people of Sderot began with a morning barrage of rockets. In the course of the weekend, five Qassam rockets struck the Western Negev area, and two rockets fell in the Ashkelon region. Today four rockets were fired at the Eshkol region. There were no injuries or damage. Purim is a holiday characterized by a monumental miracle–an entire nation survived a harsh death sentence designed to obliterate every last man, woman and child. According to the Book of Esther, Haman, a royal vizier to King Ahasuerus set a decree to kill all the Jews in the Persian kingdom. His plans were foiled by Esther, the Jewish Queen and wife to the Persian King Ahasuerus. We remember this miracle with much gratitude. 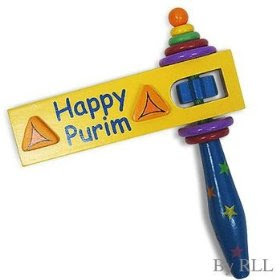 So too, here in Sderot, we hope for the end of the rockets, so that we can return to normal life and celebrate the Festival of Purim in happiness, joy, and peace. I pray that the people of Sderot can celebrate the next Purim in peace and joy. I pray that next Purim the only worries that any child of Sderot will have is what costume to wear. I pray for the peace of Jerusalem, and the other holy places. I know you, my reader have prayed this prayer too. I know many of you have signed up for the Code Red Alerts, if you haven’t you can sign up here. And like always I ask that if you can spare the extra cash to donate to the Sderot Media Center. Just click on the grogger at the bottom of the post and follow the instructions from there. They do great work in Sderot for the people of Sderot. Have A Happy And Joyous Purim! I woke up this morning to a wonderful Chanukah gift. The IAF attacking Gaza. I know I shouldn’t be ecstatic, that I shouldn’t be joyful at the death of my fellow human, but I feel like dancing and singing this day. It is only fitting that at this time of the year when Jews all over the world are celebrating the Maccabees’s victory over the Greeks (a war in which military expert would have said they couldn’t win) that the murderers of Gaza start feeling the flames of war themselves. This just didn’t happen overnight. It has been 8 years in the making. 8 years of Sderot and the Western Negev being attacked on a daily basis. 8 years of death and destruction. Yet Hamas is screaming that they are being attacked without cause. Over 80 rockets and mortar shells struck areas throughout the western Negev. In Netivot, 58-year-old Beber Vaknin was killed, one person was seriously wounded, and four others sustained light to moderate injuries when their house was hit by a rocket. All the wounded were evacuated to Soroka hospital in Beersheva. 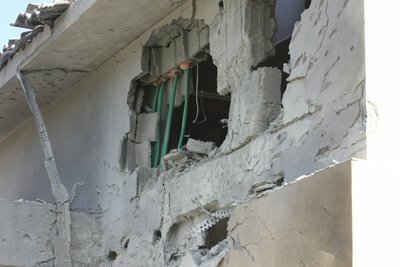 Later, a rocket hit a house in the community of Mivtahim, seriously wounding one person and lightly wounding another. A Magen David Adom team treated the wounded at the scene. In Ashkelon, at least 10 rocket strikes were reported, with one hitting an apartment building. For the first time ever, a Kassam rocket struck Kiryat Gat. The “Color Red” warning siren also sounded in Ashdod, although the location of a rocket strike had yet to be reported. Beber Vaknin had a right to live in his nation in peace and safety. His only crime was being a citizen of Israel and a Jew. To Hamas that is the greatest crime in the world. While Hamas indiscriminately attacks civilian targets while calling everywhere in Israel a military target. The IAF is selecting true military targets and wiping them out. Defense Minister Ehud Barak said in a press conference that the IAF had succeeded in eliminating senior Hamas commanders during the offensive. According to witnesses, among the dead was Hamas police chief Maj.-Gen. Tawfik Jaber. Despite the massive casualties, Hamas remained defiant, vowing revenge and calling on all other Palestinian factions to join in the fight. Minutes after the first wave of air strikes hit areas in the southern Gaza Strip, Palestinians reported a second wave which targeted installations in the center and the north of the Strip. Channel 2 reported that 60 planes were involved in the attack, and nearly 100 targets were hit. Military officials said more than 100 tons of bombs were dropped on Gaza by mid-afternoon. If Hamas thinks this is a limited operation like other times, they are in for a rude awakening. For the IDF is amassing on the border, just itching to go. 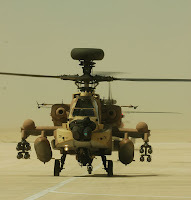 The IDF was beefing up forces around the Gaza Strip on Saturday evening in preparation of a possible ground operation following a massive air assault earlier in the day. Defense officials estimated that Hamas was capable of firing 150-200 rockets a day, adding that the operation could last for weeks. 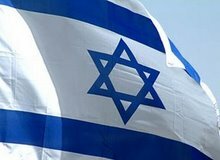 Israel’s goals, officials added, was to end Hamas rocket fire, end smuggling of arms into Gaza and severely disrupt any Hamas military activity. In a press conference held earlier in Tel Aviv, Barak said the IDF would deepen and widen its offensive against Hamas in the Gaza Strip as much as needed. Barak stated that Israel had not intended to allow Hamas to continue to fire rockets into Israel without responding. The defense minister warned that tough times lay ahead. “I don’t want to deceive anyone,” he said. “It won’t be easy and won’t be quick. We must be resolute.” Rocket attacks were expected to continue and to increase during the operation, he added. “For weeks Hamas and its satellite groups have rained [Israel] with rockets…and mortar shells. We did not intend to let this situation continue,” he said. Happy Chanukah Sderot! You and your children are getting the best Chanukah gift possible. And maybe this time the IDF will be able to stop those horrible rockets once and for all. Filed under: Gaza, Hamas, IAF, IDF, Israel, Sderot, Western Negev |	Comments Off on Operation Cast Lead! Palestinian rocket explosions marked by the wail of the Tzeva Adom siren alert sounded throughout the day in Sderot and the western Negev. Beginning on Tuesday night, 60 Palestinian rockets have slammed Sderot, the western Negev, and Ashkelon. One Grad-Katyusha hit outside a home in Ashkelon, sending several people into shock, while destroying a storage shed and shattering the windows of the Ashkelon home. Another Grad-Katyusha slammed into an Ashkelon factory, causing extensive damage. In all, seven Grad-Katyusha rockets hit Ashkelon today. Barzilai Medical Center reported that of the 24 people hospitalized for shock on Wednesday, 12 were children. In the Sdot Negev Regional Council, a Palestinian rocket directly hit a home, causing extensive damage as well. No one was wounded in the attack. During the early morning, a barrage of Palestinian rockets were fired at Netivot, with one landing in the industrial zone of the city and several more in the agricultural fields outside the city. Another Palestinian rocket landed outside a Netivot Youth Center. Two Netivot residents were treated for trauma. Among the rockets fired from the Gaza Strip in the morning, one Palestinian rocket failed to clear the border and landed in the Gaza town of Beit Lahiya, lightly wounding two Palestinian civilians. Several Qassams were fired at Sderot with one falling 50 meters outside Sderot Media Center in an industrial center, shattering the windows of several offices in the area and sending a number of people into shock. Sderot Media Center staff were in the office at the time the office at the time the rocket hit. “We heard the shriek of the Qassam zooming over and the office literally shook from the impact of the rocket explosion,” said Itzik Yarkoni. On Tuesday, five Qassam rockets were fired at Sderot and the western Negev. One Palestinian rocket landed 30 meters away from the Sderot home that was directly hit by a Qassam rocket this past Sunday. In all, 37 Palestinian rockets, and 23 mortar shells were fired at Israel in the past 24hours. Islamic Jihad claimed responsibility for the morning rocket terror. What a lovely Chanukah gift Hamas is giving the people of Israel. Over 50 rockets shattering lives in Sderot and Ashkelon. It has only been a small miracle that no body has been seriously hurt or killed yet. But it will happen. You can give the people of the area a better Christmas/Chanukah gift. By clicking on the logo at the top or bottom of this post, you can give a donation to the Sderot Media Center. A little bit goes a long way. I ask all to remember these men, women and children in your prayers. Remind others of the risks and horror that they live with each and every day. Imagine that you live under a situation in which every day there is a rocket attack from your neighbors. You don’t know where it is going to strike, you don’t know if your home, your family will suffer this time. Imagine that this has been going on for 8 years and the authorities would do nothing to stop these attacks. This is what the citizens of Sderot and the Western Negev have lived with for 8 years now. Even when there was a so-called “truce”, the rockets fell. And yet the world only condemns Israel for attacking back. Four Qassam rockets were fired from northern Gaza Saturday evening towards the city of Sderot in south Israel. There were no reports of injuries or damage. One of the rockets landed in the courtyard of a local factory, but caused no damage to the site. Another rocket landed near a kibbutz in the Sha’ar Hanegev Regional Council, while the third landed near the security fence separating Israel from the Hamas-controlled territory. The landing site of the fourth Qassam has yet to be located. The attack on Sderot took place at around 19:30 pm; loud explosions were heard in the city. At 9:30 pm another Qassam rocket fired from Gaza landed in an open area in the Sha’ar Hanegev Regional Council. There were no reports of injuries or damage. At least 15 Qassams and 26 mortars were fired toward the western Negev region throughout the day. In the afternoon a barrage of mortar shells and one rocket fell in a kibbutz located within the Shaar HaNegev Regional Council’s limits. Now imagine a former US President siding with your attackers, advising them and telling the Media that it is all your fault that you are being attacked by your neighbor. Carter’s visit to Lebanon and Syria earlier this month follows a trip to to Damascus several months ago in the face of American policy against establishing direct contact with the outlawed terrorist organization. Carter wrote on his website that he spoke with Mashaal about “formulas for prisoner exchange to obtain the release of Corporal Shalit,” who has since been promoted to sergeant. However, he probably is not aware of the promotion because the International Red Cross has not succeeded in convincing Hamas to honor the Geneva Convention and allow its officials to visit him. The Red Cross also has rejected Israeli citizen’s demands that it stop visiting terrorists in Israeli jails until Shalit is seen and confirmed to be alive and in good health. I see that a nursing home hasn’t been found for Grandpa Carter yet. In order to put forward your side of the conflict you hold a news conference, but the media does not attend, calling you an aggressor and murderer. 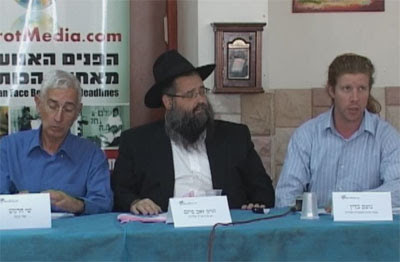 A day before the Hamas-Israel ceasefire officially ended, Sderot Media Center facilitated a press conference with a panel of Sderot officials who provided brief updates of the security situation and the impact of the ceasefire on the area residents to Israeli and international press. Member of Knesset and Kadima party member, Shai Chermesh, who is a resident of Kfar Aza, a western Negev community under daily mortar shelling, participated in the panel. He stated that the ceasefire had yielded no positive results for Israel. “Gilad Schalit is still in Gaza and Sderot and western Negev residents are still under rocket fire. This is a reality that our government must deal with and as of now, the government of Israel has shown that it has little authority over what is happening to Sderot and the western Negev,” MK Chermesh concluded. Noam Bedein, Sderot Media Center director, highlighted that the over 2,500 Palestinian rockets fired at Sderot and the western Negev have caused a marked increase in psychological trauma among Sderot children. 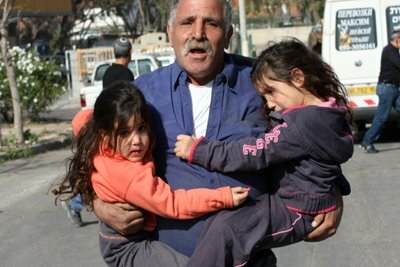 “Between 70-94% of Sderot children are suffering from signs of PTSD, according to a recent NATAL survey” Bedein stated. Bedein also related that between 300-400 Palestinian rockets have been fired at Israel since the ceasefire began in June. Yehuda Ben Maman, the Sderot security officer, added that although many bomb shelters have emerged throughout Sderot in the recent year, most of the structures provide protection from rocket shrapnel only and not from direct Qassam rocket hits. But for the people of Sderot and the Western Negev, the IDF might be giving them a Chanukah present. 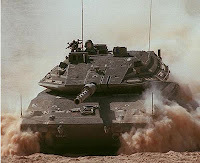 Military sources said the IDF was preparing for a wide-range of scenarios, pending government instructions. You can give the children of Sderot a wonderful Christmas/Chanukah gift too. A small donation to the Sderot Media Center will give a child the gift of hope and love. It pays for the small parties given to the children of Sderot, the psychological counseling that many of the citizens need, and the legal help the people of the region need to deal with the government bureaucracy. It is easy to do. Just click on the Sderot Media Logo at the top or bottom of this post and follow the directions from there.